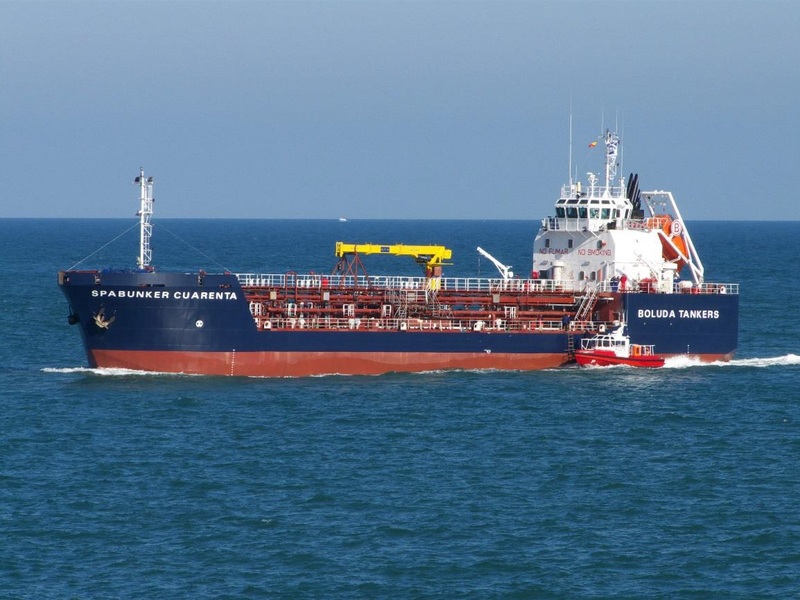 Boluda Corporacion Maritima, Dirección General de la Marina Mercante, Bureau Veritas, Seaplace, CIMNE and Fundación Valenciaport have studied the retroffiting of the bunkering barge Spabunker Cuarenta to answer multiple demands for a cost-effective, high-tech, high-volume barge. The retrofitting would include an additional LNG tank to the existing barge to enable it to supply gas as marine fuel. The retrofitted LNG bunker ship would have an LNG storage capacity of 800 m³ as per vessel naval architecture capabilities. The bunker vessel would be loaded and unloaded by means of flexible hoses or fixed arms at a flow rate of 200 m³ per hour approximately, depending on the bunker installation of the receiving ship. The retrofitting process would require: 1) removing the equipment installed on deck (mainly pipes); 2) renewing the MMEE to dual gas engines to become environmentally friendly and to achieve the same speeds due to the increase of weight of the new cargo; 3) renewing the boiler burner to a gas burner to become more environmentally friendly; 4) changing the propeller to a CPP to allow it to work with a shaft generator, burning gas in the MMEE and to achieve the same speed according the new displacement due to the new loads; 5) installing LNG tank and associated equipment, paying special attention to the steel foundation; and 6) installing bunkering systems. Ships movements: instantaneous distances between transfer connection points, as well as relative speed and accelerations. In this way, the information is used to assess safety for operating the transfer hose. Stresses on mooring: stresses on each mooring segment have been obtained to assess the risk of mooring failure. Risk of sloshing: having sloshing is a high risk to be avoided when carrying out ship to ship (STS) Transfer. Hence, the prediction of sloshing has been mandatory. The general outcome of this work has been the development of protocols in order to define in detail under which conditions the LNG STS transfer operation can be carried out in a safe manner. In particular, the protocol states whether under specific sea conditions (waves, currents, wind forces, draught), cargo conditions, and using specific mooring and fender systems, operational risk is acceptable in terms of operating the transferring system, failure of mooring system and risk of occurrence of sloshing. Once the basic engineering study of the retrofitting of the bunker barge has been completed, Boluda Corporacion Maritima has asked different European shipyards for quotations to carry out the retrofitting project. Unfortunately, the quotations received have been much higher than Boluda’s budget in this Action so it has been decided not to continue with the retrofitting of the bunker barge. Aiming to share the main results of the work done and hoping that other companies can learn from the GAINN4MOS experience, an executive summary and brief summary video of the basic engineering project of the retrofitting of the bunker barge will be available in this section of the website soon.